More young Australians are in psychological distress than five years ago, according to new research which has prompted calls from not for profits for urgent action to stem rising youth mental illness. A joint report, released on Wednesday by Mission Australia and Black Dog Institute, has presented the findings of five years of mental-health data collected from young Australians offering insights into their levels of psychological distress, their concerns and where they go to for help. 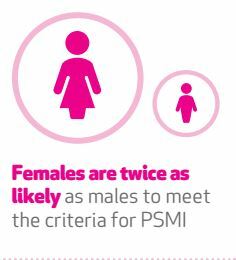 It revealed nearly one in four young people between the ages of 15 and 19 in 2016 met the criteria for probable serious mental illness, with young females twice as likely as males to report high psychological distress. Mission Australia CEO Catherine Yeomans said the findings were alarming. “There are a number of measures that actually show us that we should sit up and pay attention to what the young people are telling us, because this is not the age at which they should be grappling with potential psychological stress,” Yeomans told Pro Bono News. “Adolescence comes with its own set of challenges for young people. But we are talking about an alarming number of young people facing serious mental illness; often in silence and without accessing the help they need. Yeomans said it was particularly concerning to see the burden of probable serious mental illness was borne more heavily by young females than young males. “Young females, who responded to this, are answering in such a way as to identify probable serious mental illness at double the rates of young men and in fact those rates have increased significantly over the last five years as well,” she said. 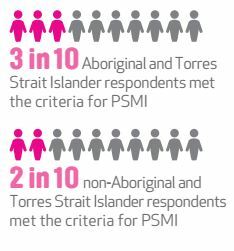 The Five Year Mental Health Youth Report, which drew on data from the Mission Australia Youth Survey, also highlighted more than three in 10 Aboriginal and Torres Strait Islander respondents met the criteria for probable serious mental illness, compared to 22.2 per cent for non-Indigenous youth. According to the research the top issues of concern for those with a probable serious mental illness were coping with stress, school and study problems and depression. The report found that friends, parents and the internet played an important role as sources of help for young people with a probable serious mental illness. 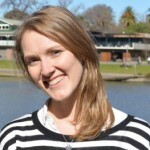 Black Dog Institute director Professor Helen Christensen said the fact young people were turning to the internet as a source of help pointed to prevailing stigma. “This report shows that young people who need help are seeking it reluctantly, with a fear of being judged continuing to inhibit help-seeking,” Christensen said. Christensen said while technology could be a lifeline, e-mental health interventions must be evidence-based and tailored to support young people’s individual needs. “More investment is needed to drive a proactive and united approach to delivering new mental health programs which resonate with young people, and to better integrate these initiatives across schools and the health system to help young people on a path to a mentally healthier future,” she said. Schools should provide evidence-based universal mental health prevention and intervention programs for young people.This will require additional government funding for schools to resource these programs. Technology that provides an alternative to face to face service delivery should be supported and invested in to meet the mental health needs of young people. Friends and family need to be equipped to provide support to young people when they seek help in relation to their mental health. Peer support networks and peer education initiatives should also be utilised. Aboriginal and Torres Strait Islander young people need access to culturally sensitive and age appropriate mental health services that are close to their homes. Intergenerational disadvantage must also be addressed as a priority with these efforts led by Aboriginal elders and communities. A gendered approach to the mental health of young people is required that takes into account help seeking preferences as well as other social pressures such as gender-based discrimination and ideals of appearance. Community based recovery orientated supports are needed to complement clinical and acute care services. Young people should be engaged in designing youth-friendly mental health services and as advocates on important mental health issues. Young people experiencing mental illness should be recognised as experts in their own lives. Yeomans said the mental health of the younger generation could continue to deteriorate without extra support and resources, including investment in more universal, evidence-based mental health programs in schools and greater community acceptance. “Given these concerning findings, I urge governments to consider how they can make a major investment in supporting youth mental health to reduce these alarming figures,” Yeomans said. “We need to ensure young people have the resources they need to manage mental health difficulties, whether it is for themselves or for their peers. Yeomans encouraged young people to have their say and complete this year’s Mission Australia’s Youth Survey. “These findings come over five years and in that five year time frame, we had in 2012 over 15,000 young people responding to the survey, last year’s survey there were 22,000 young people. Now the fact that the number of young people identifying a probable serious mental illness has actually increased in that time, even with increased responses, really tells us what young people are experiencing” she said. “So the youth survey is open again this year. We really encourage even more young people to be responding to our survey. I am so tired of the complete lack of interest by anyone in the mental health field about Forgotten Australians and their families. No, they are not all indigenous. The 2004 Senate Report ‘Forgotten Australians’ identified 500,000, 30,000 of whom are indigenous. Those figures don’t take into account the families of Forgotten Australians. If, like in our family, the mental injury caused to the original Forgotten Australian also injured their family, then four more people became mentally ill as a result. It is well past the time for governments to admit that breaking up families does not work. Our Forgotten Australian husband and father died three years ago. The trauma and conflict and mental anguish continue unabated for the rest of us.